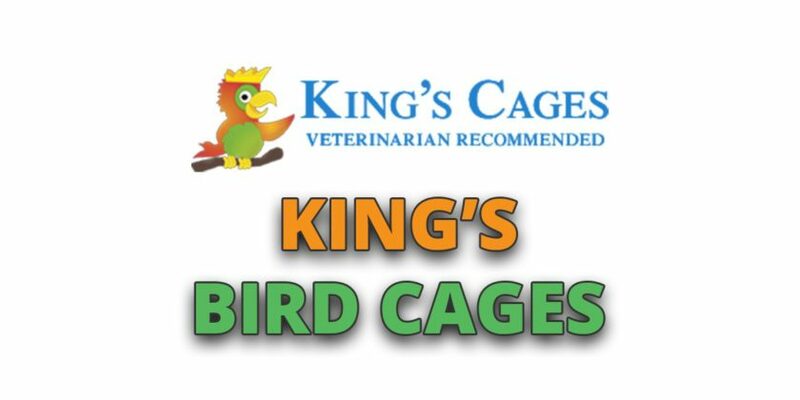 Today we’re looking at the best Kings Cages and especially with regards to the bird cages range. The advantages of Kings Cages are that they provide a huge range of bird cages types (small to large, travel, double, breeding etc.) and they make them from a range of material options (wrought iron, stainless steel, acrylic, aluminium). As a company, Kings Cages have been working in this industry since the 80’s and so have decades of experience. They offer premium, higher end bird cages that tend to be more expensive but are also built to a higher standard as well. All come with a removable floor tray that makes cleaning much easier. Each cage has at least one wooden perch that provides an area for your bird to site. 1 to 3 feeding/watering trays are always included in the cages as standard. 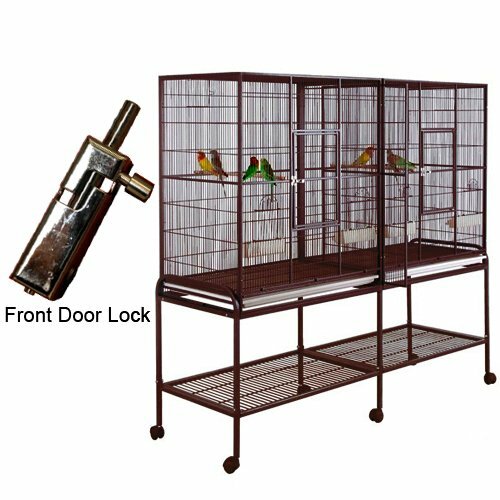 A large front door is provided on each cage and for larger sized bird cages with parrots in them, the door will also include a bird safe lock or latch. Most of the cages are made from wrought iron with a powder coated paint. However, there is also cages made from aluminium, acrylic and stainless steel. Depending upon the size and number of birds used, you’ll also need a cage of a different sizes. Kings Cages come in a variety of shapes and sizes to you need to pick the appropriate one that has the correct bar spacing and wire thickness to match your bird species. Smaller sized birds include budgies, finches and canaries and they can be fit into smaller sized cages with wire spacing that at a maximum is 1/2″ and has a wire thickness that at a minimum is 2mm. Medium sized birds such as cockatiels, conures and quakers will need wire spacing at a maximum 5/8″ to 3/4″ and 2.5mm wire diameter. Whereas larger birds such as african greys, macaws and cockatoos need wire spacing at maximum 3/4″ to 1″ and wire diameter at a minimum 3.5mm to 5mm. Also, as you increase the number of birds in a cage you obviously also need to increase the size of the cage. Plus more birds also menas you need more perches. You want to check that a number of things are included when deciding upon a bird cage. A removable floor tray makes cleaning a bird cage far easier and is something that is fitted as standard on Kings Cages. Small access doors on the sides of the cages are usually placed next to the feeding/watering stations and this makes it easy for you to top up the feeds and water without opening the large front door (where the bird might fly out of). A bird seed guard or catcher at the bottom of the cage is also sometimes included on larger cages and this prevents waste from hitting the floor. There’s also wheels that should be included on the feet of the cage which will make moving the bird cage around the house much easier. Plus, some cages sacrifice internal space to provide a storage tray beneath the cage which is useful for storing feeds and equipment. The building quality of Kings Cages is of a high standard and because they offer a premium product, Kings Cages also tend to be fairly expensive. A small Kings cage such as a flight cage costs around $150 range. 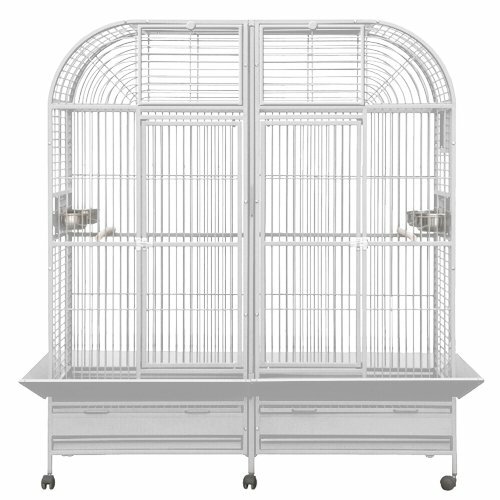 A double flight cage will cost around $300 to $400 whereas a large parrot cage is likely to go for around $500. 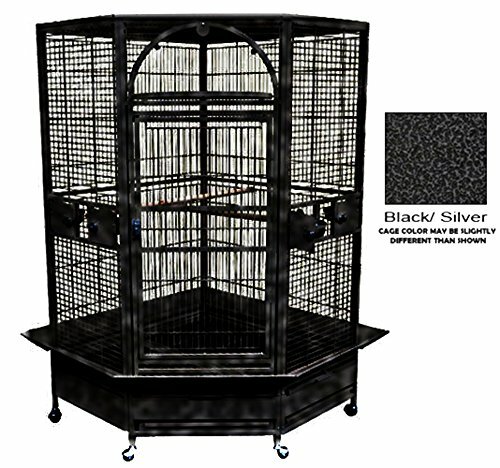 They also offer very large cages that can sell for $1,000 or corner style cages which generally go for around $750. 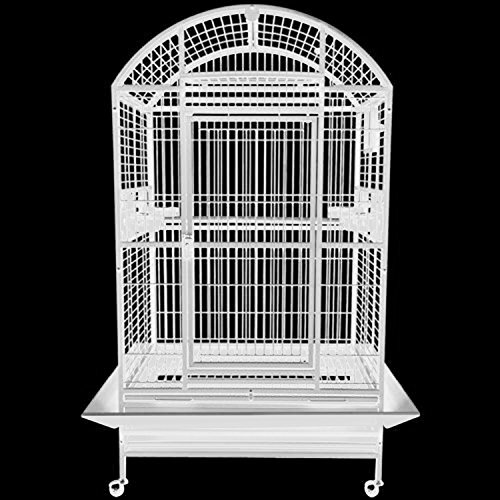 The standard Kings Bird Cage will use wrought iron which comes with a powder coated paint. The paint is applied through a powder coating process because this then makes it very difficult for the birds to chew or scratch it off. Both wrought iron and powder coated paint are bird safe. Kings also offer cages is a range of other materials as well. There are some aluminium cages that are extra light and so tend to be used with their travel cages. Stainless steel cages also get used for people that want a metallic cage that doesn’t have any paint applied to it. There’s even acrylic cages for people that want cages with a clear view of their birds. Sometimes a steel mesh is used for the wiring and this is bird safe as they use a galvanized steel after welding process (whereas a galvanized steel before welding isn’t as safe). Whilst doing reviews of Kings Cages we looked at a number of different factors to decide which one was best. We looked at the building quality of the materials, how easy it is for the cage to be used and maintained, the price and also the design of the cage. From this we uncovered the best Kings Cages, the cheapest ones and also some little known about unique options that they offer. Very sturdy and built using high end craftsmanship. Noticeable improvements in quality of building materials vs cheaper competitors. Large front door makes accessing your bird easy. Seed guard prevents bird mess. Removable cleaning tray is a bit shallow and could do with being deeper. More expensive than competitors but also better quality. If you own parrots or larger sized bird and you want a cage that doesn’t skimp on quality then choose this dome top cage from Kings Cages. Extra roomy flight cage which will provide plenty of space for smaller sized birds. Comes with some top end, organic looking wooden perches that provide plenty of perching room. Two small breeding access doors are provided near the top for breeding box placement. Plastic feeding stations are made from plastic (which is fine for smaller birds) but they could do with being made from metal. 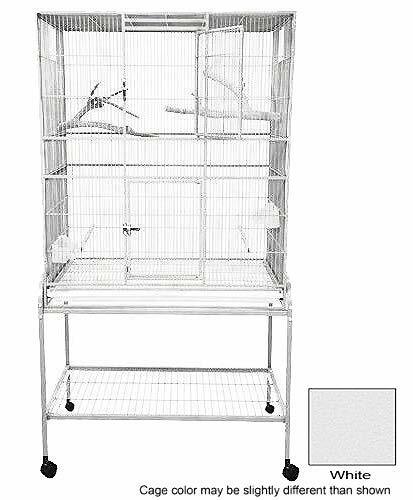 Ideal for the small bird owner, this Kings Flight Cage contains all of the necessary features that a finch, canary or sugar glider owner could ask for. Huge in size, provides more than enough room even for larger sized birds. Central divider partition which can be used to separate breeding birds or can be removed to provide even more space. Large seed catches and removable floor trays to pick up mess. Comes with large front doors, feeding/watering stations on each side of the bird cage which comes with locks. This cage is perfect for people breeding large parrots thanks to it’s double partition design. However, this partition can be removed and you’ll have a huge bird cage that’ll provide a great living environment for a number of larger sized birds. Great if you want a large sized bird cage but you don’t want to take up too much room space in your house. Plenty of space, huge front door and 4 different accessible/feeding doors with locks. Strong bars that won’t get snapped or bent by Macaws. Thick wooden perches for use with larger sized birds. Out of all the corner bird cage designs available, this bird cage from Kings is the best one of the market. 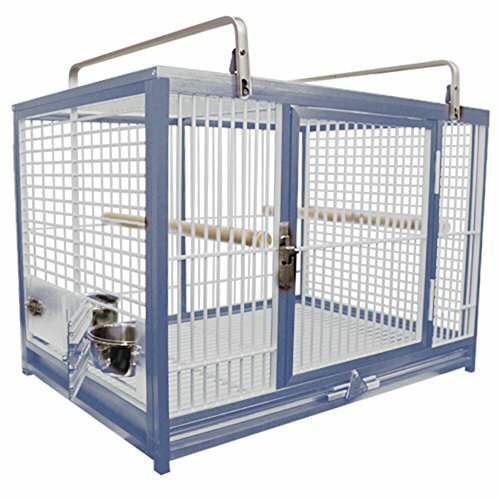 You can find a detailed guide to corner bird cages here. Made from aluminium which is strong but also extra lightweight so makes carrying the cage far easier. Aluminium also doesn’t rust. Front door lock comes with a magnetic closure. Easy to assembly and can be put together with no tools. Comes with 2 perches and swing out doors for feeding/watering cups. Expensive for a travel cage but there’s a reason this cage gets raving reviews. A fairly large travel cage so you might want to go with the smaller version if you have smaller birds. Made for people that want to provide their parrots with stress free journeys to the vet or need to travel distances with their pet birds. Made from aluminium, carrying the cage is far easier than other travel cages made from heavier materials. Large storage tray beneath the cages provides you with an area for all your bird equipment. Removable center partition can be used to separate birds whilst breeding or to increase the size of the cage. Easy to assembly and made from high quality materials with thick powder coated paint that is double coated – so it doesn’t flake off and looks good also. Ideal for smaller sized birds that need extra room to fly around in and gives them the opportunity to exercise. When breeding your birds, additional breeding/nesting boxes still need to be purchased. For the smaller sized bird, this cage is supersized and will easily accommodate a small flock. If you want something that is long lasting then it’s worth getting this instead of one of the cheaper alternatives. There’s a few things you should check for when buying a Kings Cage secondhand. You’ll want to first look over the cage for defects such as cracks, breaks or any bent wires in the cage. You also want to check the cage to see if an additional layer of paint has been applied. This is something you don’t want because the owner may have applied a paint that isn’t bird safe – the same is true for any cleaning chemicals they might have used. Unfortunately, you’re going to have to trust the individual owner’s word since when you buy used you’re not going to get any type of guarantee or warranty. This means if you find anything wrong later on with the cage they’re unlikely to give you a replacement parts or free repairs. So you can see there’s a number of options if you’re looking for cheap Kings Cages for sale. Those that do go with this approach normally start on Ebay, Gumtree or Craigslist. Kings bird cages tend to be expensive but occasionally they offer clearance cages or sell their bird cages at a discount. To take part in these offers you need to know the insider coupon code numbers for these promotions. 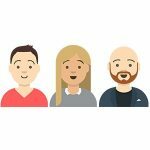 We provide these coupon codes to our readers on our mailing list, so sign up with your email if you want these special offers. Great for keeping medium to large sized birds entertained for hours on end. This playstand comes with a perch and 2 feeding stations, mess guard, wheels for moving around the room, plus a hook that can be used to hang toys off of. This is a specially created home remedy available from Kings Cages that prevents your bird from plucking out their own feathers. It’s prevents them from itching and biting themselves due to anxiety, fear and social problems. What’s more, Pluck No More is effective with dogs as well. Kings Cages now provides a newly improved door lock that is designed to be parrot safe. Your birds won’t be able to open these, unlike some traditional locks. Dear Mr. Taylor, I have purchased an old king’s Cage for my African Grey and it is very nice. However it is difficult to clean. It came already assembled and I wonder if there is an assembly error. I cannot remove or slide out the bottom tray w/o disassembly. The seed catchers are on top of the tray. So cleaning is rough. Any ideas? D377.546 patent number this is a Victorian dome style so cage. Which should have a slide out tray. If the slide out tray isn’t working then re-assembly may be required. It’s not that useful but hopefully it might help a little bit. I found a used King cage that I will go to check out now. I think it is model SLUX 2716 or maybe an older model that looks like this one but the metal is a solid white instead of two colors on the modern one. If the seed cups and plexiglass is missing or broken is it hard to find replacement parts like these? I read your article about making sure that it has not been repainted first already. Thanks so much! 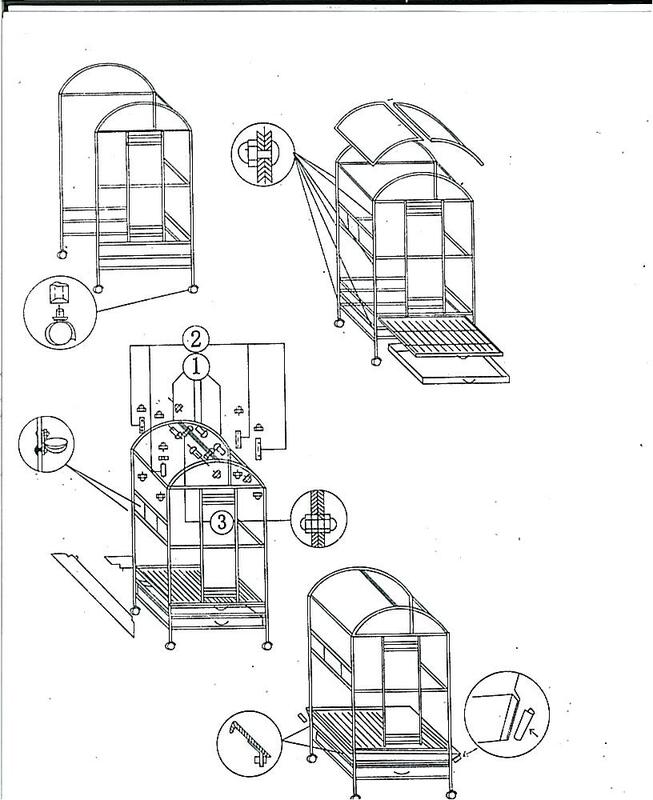 At the end is a section on cleaning which is important to learn if you get this cage.